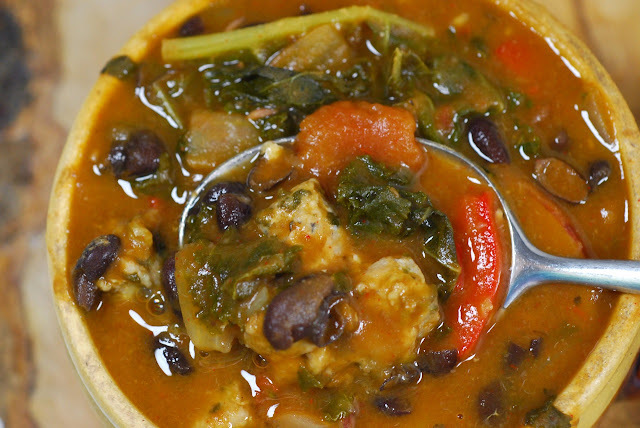 This soup is a great chili alternative; it's the un-chili! It's savory, different, robust, and very satisfying. Note: I like chili as much as the next person, but sometimes it seems a little one-dimensional. Chili generally tastes like....chili. 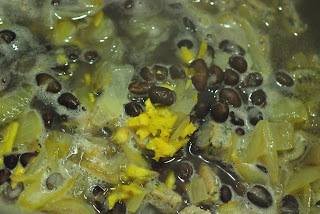 It's a very dominant spice, and long simmering creates a uniformity of flavor that pervades anything placed in the pot. And so, prize-winning chili, office cook-off chili, and vegetarian chili have a sameness that can be either a source of local pride or BTDT. Chili is an excellent excuse for eating corn bread, however. It don't mean a thing if it ain't got that Hing. This recipe uses a pinch of Hing, also known as Asafoetida, an Indian spice. According to Wikipedia, "Asafoetida (Ferula assafoetida) ... (also known as devil's dung, stinking gum, asant, food of the gods, giant fennel, hing and ting) is the dried latex (gum oleoresin) exuded from the living underground rhizome or tap root of several species of Ferula, which is a perennial herb (1 to 1.5 mtr. High). The species is native to Persia (Iran). Asafoetida has a pungent, unpleasant smell when raw, but in cooked dishes, it delivers a smooth flavor, reminiscent of leeks." 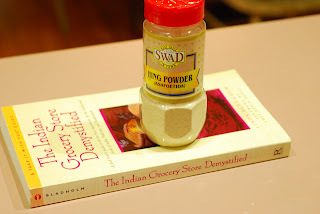 I also read, in Linda Bladholm's excellent The Indian Grocery Store Demystified (above), that this spice helps with bean digestion, which sold me immediately. I recommend buying the powder (shown), as the liquid form is especially, um, aromatic. 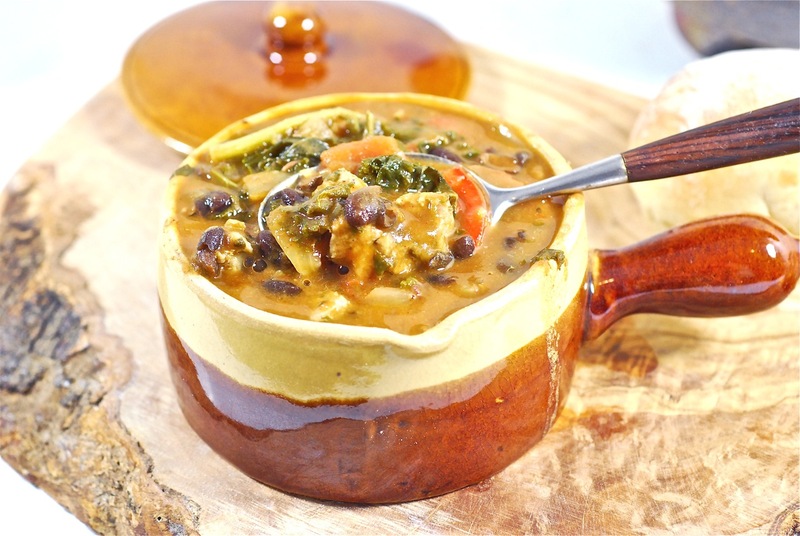 For Winter, I like soups that are almost stews; big chunks of vegetable, a bit of meat perhaps for flavor, and creative spices. 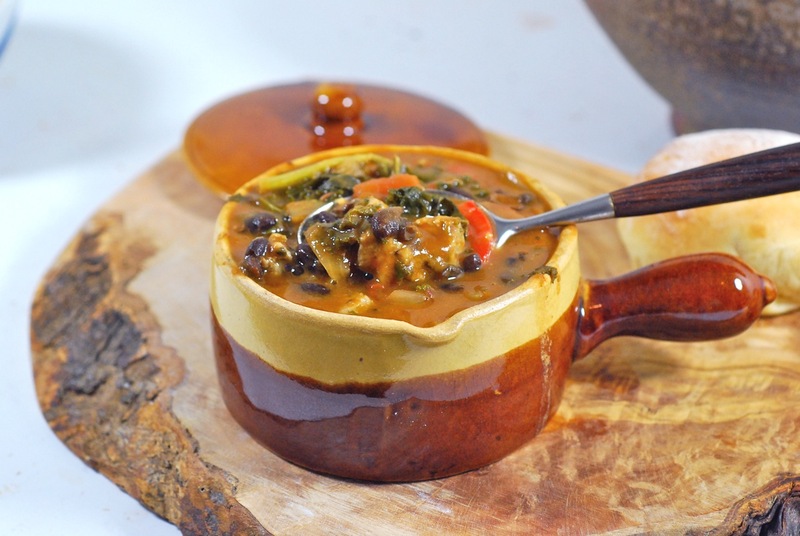 You should be able to taste each element of the soup separately, and they should enhance each other, too. A really good soup should make you want seconds. This soup delivers. 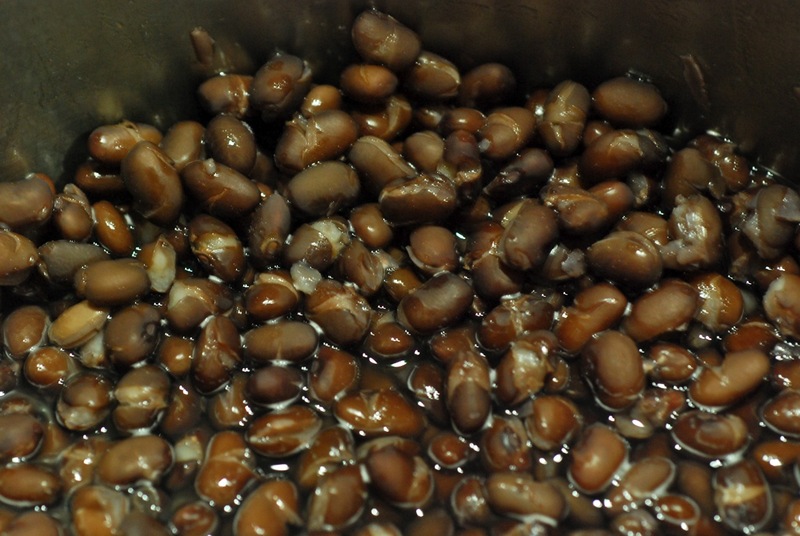 In a stock pot, add beans and water to cover, then soak for 3 hours. At the end of the soak, rinse and replace the water. Turn on the heat and bring to a strong simmer. 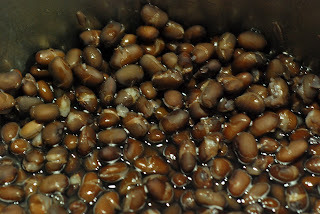 Cook until done, about 1 hour (check periodically for doneness, cooking time can vary depending on the beans). Drain and rinse. In a large saute pan, cook onion in olive oil for 5 minutes. 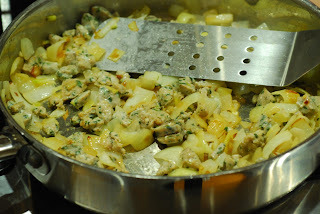 Add the garlic and sausage, and continue cooking until done and barely browned. Add contents of the saute pan to the stock pot. 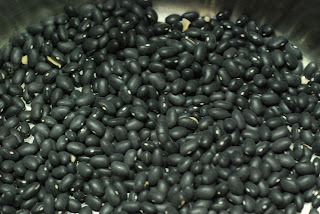 Cover with the stock, and add enough water to give 2 inches of coverage over the beans. 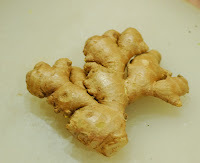 Add the ginger, and bring to a boil. Simmer for 10 minutes, then add tomatoes, red bell pepper, tomato paste and all spices: Hing, both paprikas, herbs de Provence, and several grinds of salt and pepper. Add potatoes and cook 15 minutes more, then add kale and finish cooking until potatoes are done. Adjust seasoning with salt, pepper, and hot paprika. what a gorgeous soup, everything you make is fantastic. That looks just brilliant Sue! 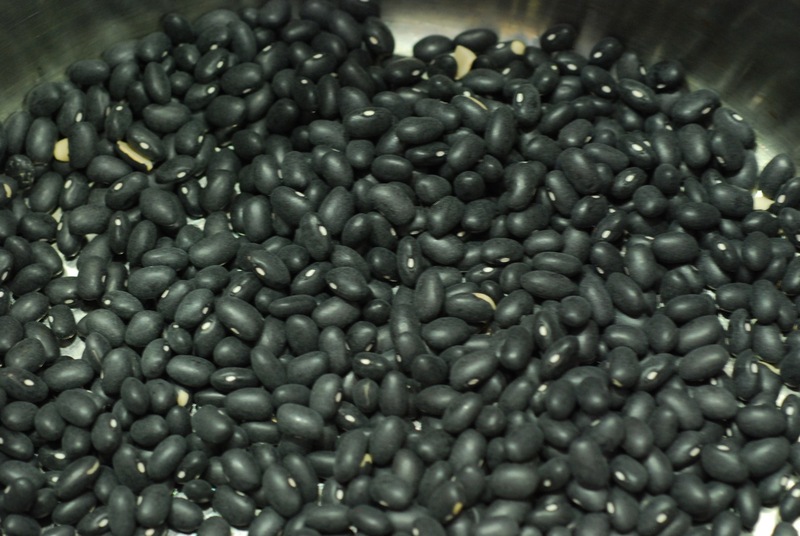 Now I am on a quest to source out some black beans and I'll make this bad boy. Yummmy. Just found your blog, 100% in love! Can't wait to keep up, especially when there are turtle beans involved! I made this last night, came out wonderfully! Great recipe :)!!! oh my gosh yummmm this makes me so homesick!